UNRWA maintains its primary banking relationships -– and all donor contributions –- with reputable international banks, including JPMorgan Chase, BNP Paribas and Bank Austria Vienna. The Agency distributes on a weekly basis to field offices operationally required funds to banks in the relevant area of operations. In this context, UNRWA uses the Arab Bank for transactions in the West Bank and the Commercial Bank of Syria, which until recently held a State monopoly on all banking operations in Syria and remains the only bank to provide the full extent of services throughout the country, for local transactions, such as the payment of staff salary. 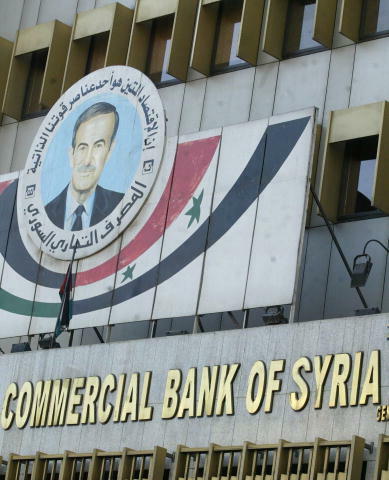 Thus, the UN said it was still using Commercial Bank of Syria, and said it was the only bank it could use. On April 3, UNRWA's chief of Gaza operations John Ging held a press conference in New York. On this, Inner City Press asked if it is appropriate for UNRWA to be using a bank on US anti-money laundering lists. Ging answered that the question was "above his pay grade," but went on to say that UNRWA would never do anything illegal, and that the issue "is established" with the U.S. Departments of State and Treasury. Video here, from Minute 1:06:52. "UNRWA has stopped using the Commercial Bank of Syria for financial transactions, which the United States says has been used by terrorists to transfer funds. He said the agency used the institution because it had a "massive network of offices," but has conferred with U.S. State and Treasury department officials in recent weeks and is now looking for a different bank." So on this the question is, is it that UNRWA would never do anything illegal, or would stop once it was spotlighted, but after the UN reflexively defended the practice? Footnote: Ging stayed after Friday's briefing and answered more questions. Inner City Press asked about reports that Fatah is blocking the release of Gaza patients needing treatment outside the Strip. Ging to his credit agreed that this was happening, and said UNRWA is trying to solve the problem by accompanying patients. He also committed to provide information about UNRWA's request for cash to get into the Gaza strip, to pay a long list of pending bill that can apparently only be paid in cash. The information will be reviewed and reported upon receipt.